Is the venue able to be booked by the public? Yes, No cost for exhibitions, negotiable for private functions. 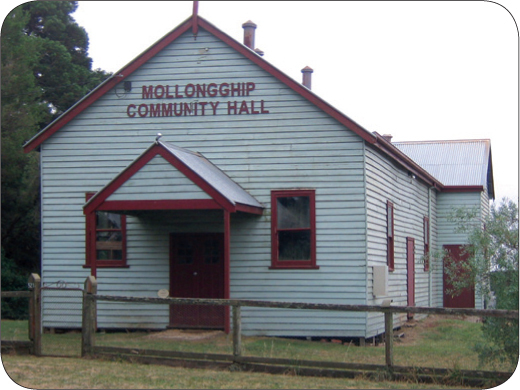 Description of Venue: Mollongghip is a small farming village set in a high valley among rounded volcanic hills in Victoria’s Central Highlands. 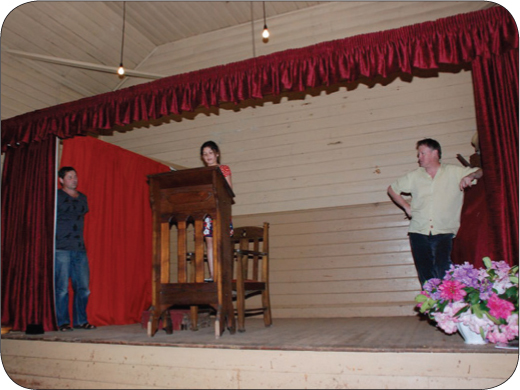 The focus of the valley is this small, 110 year old weatherboard hall in largely original condition. 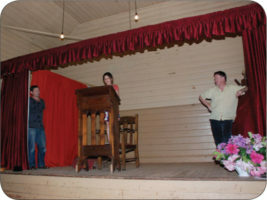 The Hall draws a diverse crowd from throughout the region and Melbourne for its annual cycle of events of plays, concerts and dances. Its latest resurgence sees the introduction of progressive diners, poetry slams and beer tastings along with informal Saturday morning gatherings where people pick up their newspapers and enjoy coffee and muffins with others in the community. The Hall committee has worked hard over the years to revitalise the Hall, while retaining its character. The exterior has been refurbished and the committee recently installed a kitchen. The main hall area is still in original condition. There is a sense of continuity about the hall and a knowledge that many stories have come before. Photos, war memorabilia and lists of names of many of the early settlers to the district are displayed around the walls. 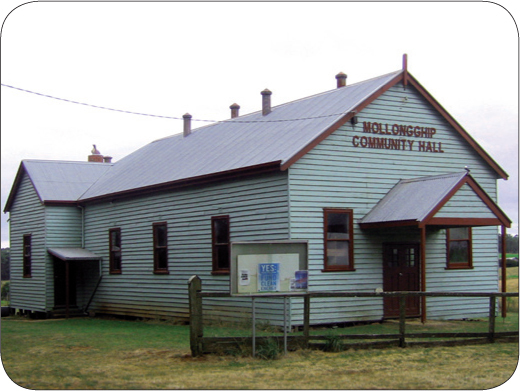 With its rustic bar, barrel ceiling and wooden floors, Mollongghip Hall has great acoustics and is perfect for concerts, plays and dances. Like stepping back in time, this hall comes with all the character and charm from yesteryear. 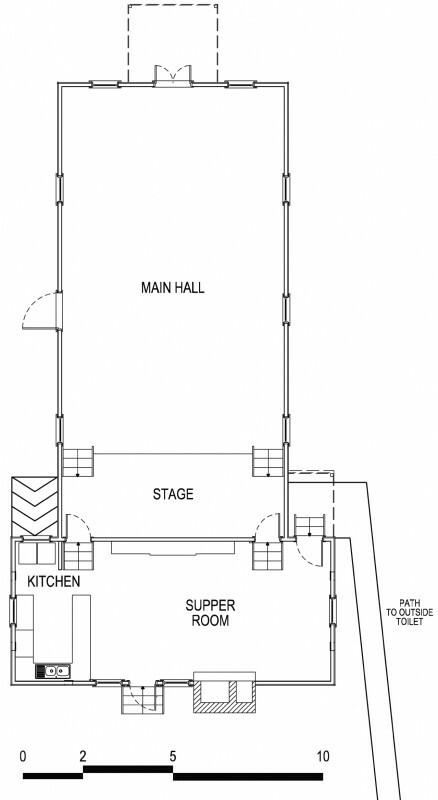 The hall area is 100m2 with a generous stage area. The stage has a proscenium arch and beautiful red velvet curtains, making it the perfect venue for live performance and plays. There is currently no lighting, sound or technical equipment in this venue. There is a kitchen at the rear which boasts a spacious open plan dining area and original handcrafted built-in cupboards and display cabinets; charmingly quaint and ideal for meetings and other gatherings. The grounds are spacious and the venue has one outdoor toilet.